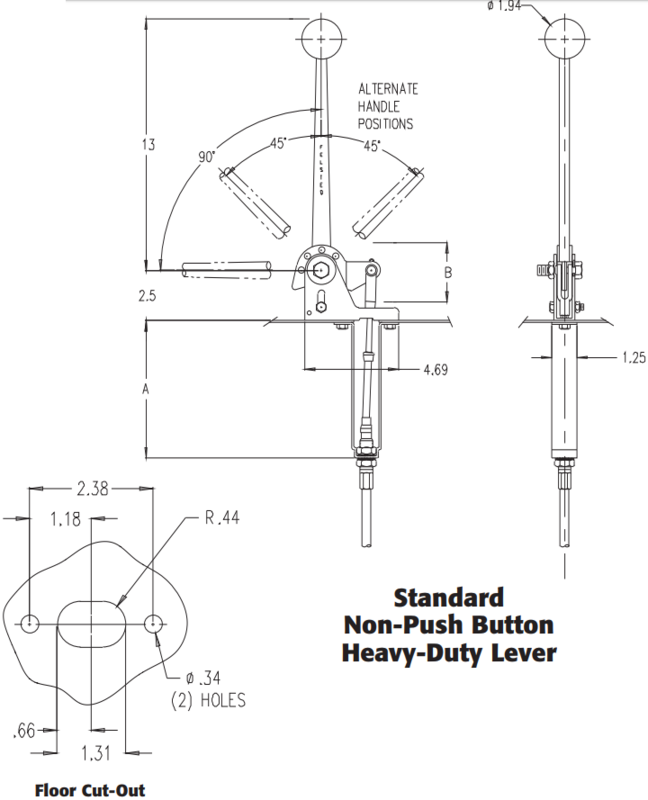 The mechanical advantage of both levers is 5:1 with operating loads from 125 to 400 pounds dependent on cable series and travel. Superior corrosion resistance is provided by a handsome black matte finish Electrocoat Coating for the lever mechanism, which will meet 5% Salt-Spray, 336-500, with zinc plate for fasteners. Other advantages include a lightweight design and a pivot bushing. To build an Assembly Part Number, please refer to the option charts below, and place the option numbers into the corresponding color coded boxes. 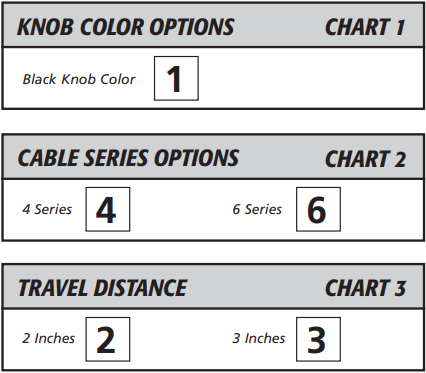 Please Note: Knob color option only exists as black, which is #1.